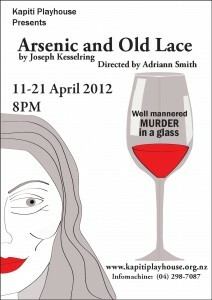 Arsenic and Old Lace - Bookings - Hurry, Last Days! 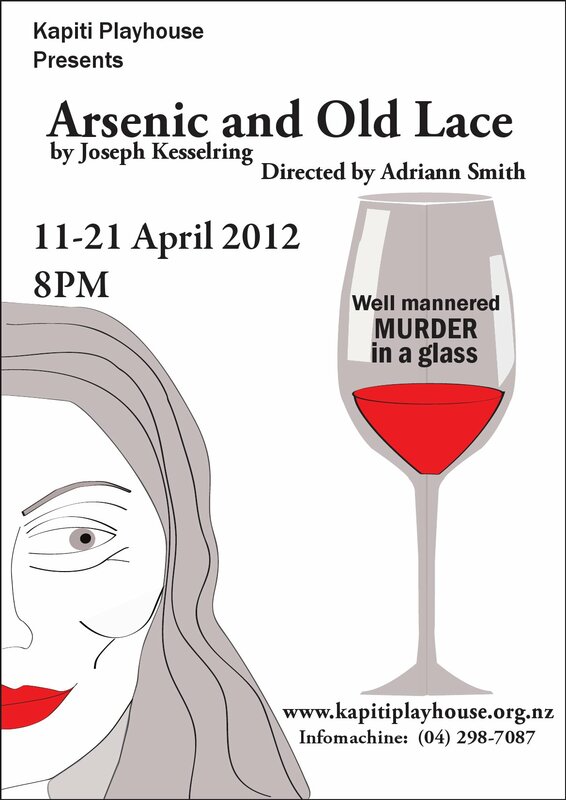 - Kapiti Playhouse Inc.
Arsenic and Old Lace – Bookings – Hurry, Last Days! Murder in a glass… Things aren’t what they seem to be in this frenzied, sometimes hilarious, black comedy complete with murderous aunts compassionately serving up elderberry wine to lonely gentlemen. Arsenic and Old Lace runs from 11 April to 14 April, and then from 18 April to 21 April at Kapiti Playhouse Theatre – curtain up 8pm. Group and general bookings are also now open. Tickets cost $18 or $15 for seniors. For group bookings, or general booking enquiries, contact Petronella at tickets [at] kapitiplayhouse [dot] org [dot] nz or by phone on 04 905-9295.